The Cyprus problem was the main topic of discussion during a meeting between Greece’s Foreign Minister Petros Molyviatis and UN Secretary General Kofi Annan, on Friday. In a statement, Molyviatis described the meeting as “very good” noting they dealt with the Cyprus problem and “exchanged views on the current developments and future prospects”. 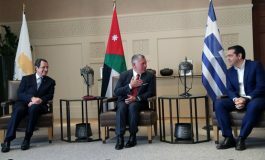 He said they also examined “the renewal of the mandate of the United Nations Peacekeeping Forces in Cyprus” and referred to developments in the Balkans where Molyviatis assured of Greece’s support to the UN peacekeeping efforts in the region. Asked if he raised with Annan his warning to member states not to take decisions, which might ease Cyprus’ partition, Molyviatis replied, “this is our firm position. We believe that prospects for the island’s reunification should remain open and this would be greatly helped if nothing happens which will encourage the island’s division instead of promoting its reunification”. A foreign Ministry high-ranking source said Molyviatis underlined to Annan that the UN’s involvement in Cyprus cannot stop. The source also revealed that Annan is seriously considering sending an envoy to the region on a fact-finding mission. The Cyprus problem, Greek-American relations, Turkey’s bid to join the Eureopan Union, combating terrorism as well as other international issues were the focus of a meeting Greek Foreign Minister Petros Molyviatis and US Secretary of State Colin Powell had here Thursday, on the sidelines of the UN General Assembly. Speaking to the press after the meeting, Molyviatis expressed the conviction that conditions at the beginning of next year will be such that they will allow a fresh effort to begin towards a political settlement in Cyprus. He said that all those interested in Cyprus have agreed that this is a time for reflection on the results of the April referendum on the Annan plan, a UN solution proposal. ”I don’t think this period of reflection is over. I think we should wait and see how things develop,” he said, noting that this period will end when certain factors coincide. 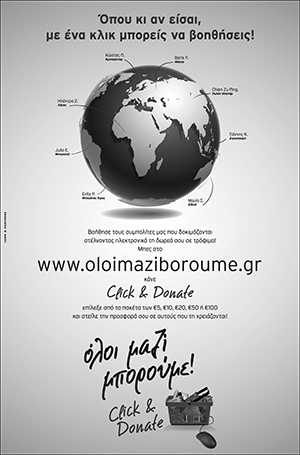 ”I believe that with the start of next year, one can hope that there will be a coincidence of various factors that will allow a new beginning,” with regard to Cyprus, he added. 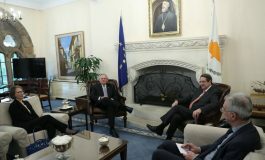 Molyviatis said that while in New York he has been in constant touch with Cyprus President Tassos Papadopoulos through informal meetings and telephone conversations on a daily basis. The Greek Foreign Minister said in his address to the General Assembly Papadopoulos outlined in detail the positions of the Cypriot government and referred to the provisions of the Annan plan that need to be amended. ”I think Cyprus’ position is explicit and this is clearly evident in Papadopoulos’ address,” he said. 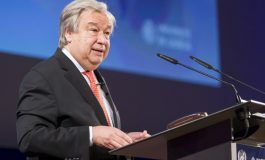 ”During the last 30 years of military occupation of more than one third of the territory of Cyprus, Greece has strongly supported every attempt and initiative by the UN, including the last one, for the achievement of a just, viable and functional solution of the Cyprus problem,” he noted. ”The international community can contribute decisively in this direction by keeping the window of opportunity open and avoid any action which could lead to the deepening of a division of the island or could fail to provide incentives for its reunification,” he said. ”At the same time, we believe that the international community should reserve itself before taking any initiative that emphasises the division of the island, let alone any measure leading directly or indirectly to economic and political secessionism,” he said.